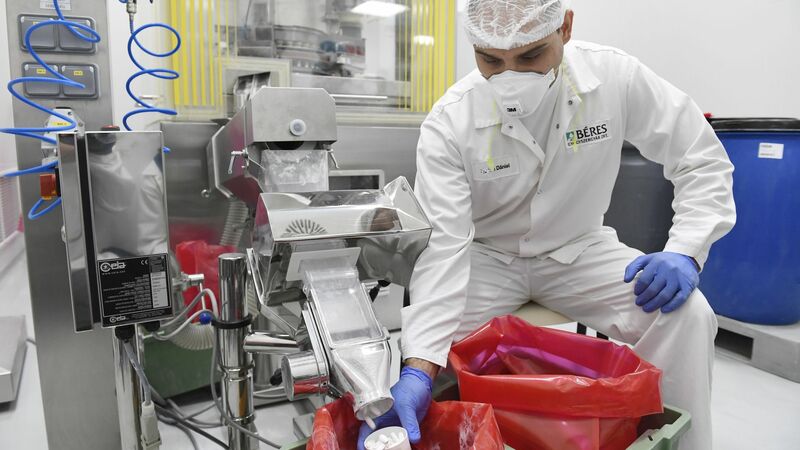 A new development project of Egis Pharmaceuticals PLC is to take place at the company's manufacturing unit in Körmend as the result of an investment of EUR 21.8 million. With the aim of facilitating further progress, this new project enables the company to produce and develop Highly Potent (HP) products, which are substances (mainly used in oncology therapy) that can exert strong biological effect in small doses. Besides that, the construction of a new packaging site will also contribute to the unit's capacity. Egis, with a history of more than 100 years, is one of the leading pharmaceutical companies in Hungary and in Central and Eastern Europe as well. In Hungary, its drugs are developed and produced at three production sites, out of which two are located in Budapest, and one can be found in Körmend. The company produces more than 5 billion tablets and capsules and more than 150 million boxes of drugs annually, being sold in 62 countries. The international group of companies employing almost 4500 people places strong emphasis on the research and development ensuring continuous improvement, with HUF 13 billion spent on that in the financial year of 2016/2017. The strategic goal of Egis is to develop and produce generic drugs representing a high added value, and furthermore, to expand its product portfolio with the inclusion of oncology products. The creation of this portfolio was started by the marketing of the company's licence products and by setting up a special analytical release laboratory. 2014 saw the company starting to develop its own generic, highly potent active ingredients and finished products in the research and development laboratories located in Budapest. This new investment establishes the conditions required for the next stage, the expansion of technological developments and the commercial production of such drugs. 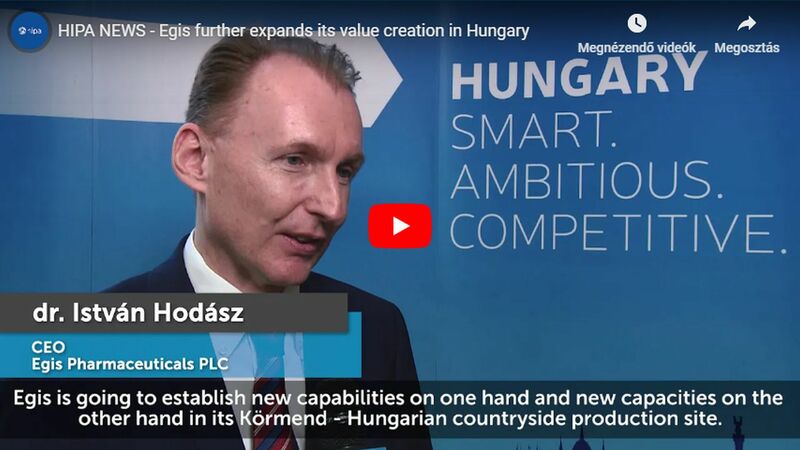 Following the completion of the investment, all the stages of the development and production of HP drugs will become feasible at Egis, considerably enhancing the creation of added value in Hungary. At the same time – while the manufacturing site of Egis at Körmend will be expanded to include the adjacent site as well – new, state of the art facilities are to be created at the pharmaceutical packaging site. By all the development and production stages of HP oncology products getting under the control of the company's quality assurance system, Egis will be enabled to support the therapy of cancer – which can be considered to be an endemic these days – in Hungary and in the other countries of the region as well, by the provision of domestic medicinal products that have all been consistently qualified throughout every production process and are all characterised by the Egis quality. The Hungarian pharmaceutical industry has a history of more than 100 years. It is a sector traditionally driven by innovation and making up over 40% of R&D in the manufacturing industry. Moreover, regarding its export, it significantly improves national economic performance.